Boscombe’s business community, via the Coastal Business Improvement District (Coastal BID), is delighted to support the Lunar Fiesta as part of this year’s Chinese New Year’s celebrations. Events will take place in Boscombe from Saturday 28th January until Saturday 11th February. Organised by the Wisdom (Zhiuhui) Foundation, the “Lunar & Chinese New Year” event celebrates the diversity of Asian countries and cultures. Shoppers are in for a real treat on Saturday as we mark the first day of celebrations with entertainment from Dragon of the South, supported by the Sovereign Shopping Centre. With an opening ceremony, an Aladdin pantomime, a junior and senior lion dance and a grand finale, the day will be full of energy and excitement. 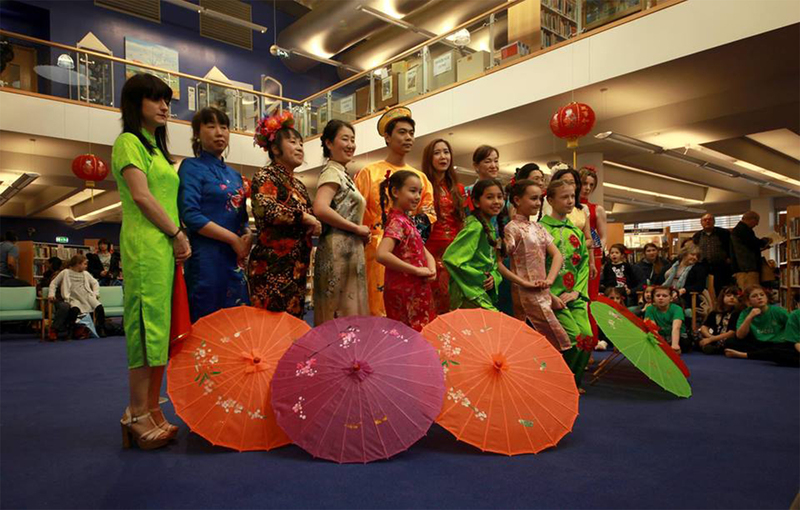 Over the course of the Lunar Fiesta celebrations there will be a Multicultural Curry Contest Exhibiton, mask making and lantern workshops, a Chinese painting exhibition, theatrical performances, facebook competitions and an ‘Asian Wonderland’ on Boscombe precinct. To celebrate the beginning of the New Lunar Year 2017, there will be a Chinese Valentine’s Day Charity Gala on Saturday 11th February 2017 at the Bournemouth Hilton. Tickets are £48 for adults, including a premium door gift.